Local resident and business-owner Andrea Collins is supporting the Gisborne Roads and Transport Group's push to make parking in Gisborne's CBD a high priority. 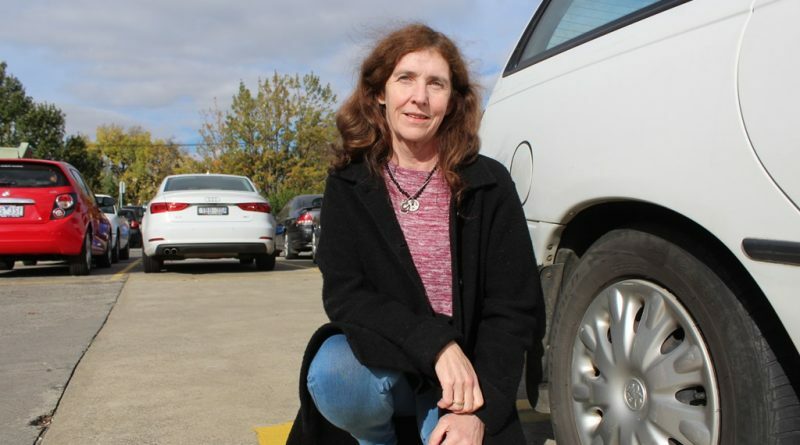 Car parking pressure is mounting in Gisborne’s CBD as the town faces growing pains and Gisborne Roads and Transport Group is demanding action. 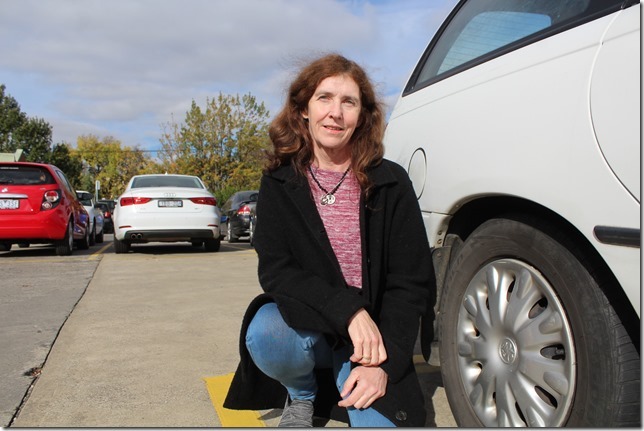 The group has launched a petition to see the creation of a long-term parking precinct plan “highly prioritised” for the town as well as additional short-term parking using funds available from the sale of council land. 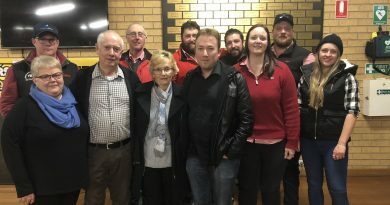 “This issue has been creeping up on our town for some years, but with the latest explosion of housing developments on our outskirts as well as infill developments closer to the CBD we have now reached the point that something must be actioned immediately,” said Michelle Minchew, secretary, Gisborne Roads and Transport Group. The Victorian Government has earmarked Gisborne for growth and there are predictions the town will grow from a large district town to a regional centre by 2036 – and evidence of that is already beginning to show. Residents can no longer “just quickly pop down to the shops”, according to long-time Gisborne resident Andrea Collins. “We now have to plan so much extra time before coming into Gisborne to use the shops or facilities. Any day is chaotic,” she said. Ms Collins, who owns the local copy centre, said limited parking was beginning to impact businesses as people were starting to spend their dollars elsewhere to avoid the headache. She said a 10-15 minute drive to out of town services was often the same time spent to secure a car park in town. “If the town doesn’t have infrastructure in place; then the growth Gisborne is experiencing is not beneficial,” Ms Collins said. Limited choice has frequently forced people to park away from services they require including medical treatment and veterinary access. 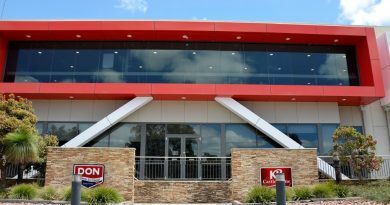 Gisborne Central manager Adam Newton said the lack of parking options at the northern end of Brantome Street had become a “source of frustration”. He said it was not only centre patrons who faced difficulties but also staff with insufficient options for all-day parking and risks of hefty fines when not able to re-park their vehicle. Movement Network Study and Gisborne Business Park Master Plan. As part of the movement network study, council conducted a peak occupancy of parking spaces in the town centre (December 2014) that showed critical on-street parking areas (above 80 per cent capacity) were Goode Street, Hamilton Street, Brantome Street and Aitken Street. A shortfall of 300 parking spaces by 2036 was predicted based on the need at the time. “To satisfy the future forecast parking requirements, any new retail development that generates additional demand shall be provided for on-site by the developer,” the study suggests. However, there have already been examples of new businesses being granted concessions, including a waiver of 34 car spaces for a new 100-seat restaurant in Brantome Street just last year. Gisborne Roads and Transport Group petitions to make parking a priority are located at the following Gisborne businesses: Cellarbrations Liquor, Foodworks, Solatte Cafe, Gisborne Veterinary Clinic, Priceline Pharmacy, Gisborne Medical Centre, Coles, Subway, Brumby’s, Mid Town Lotto, Gisborne Family Dental, Boutique Hair Nail and Beauty, The Gisborne Collective, and Baringo Food and Wine (New Gisborne). 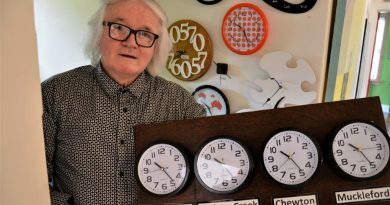 Castlemaine contemporary artist Leslie Thornton with some of the pieces that will feature in Clocktober. Luke Brown's family and colleagues want to spread the health check message as part of Luke's legacy.